When you’re driving a new Volvo, you’re enjoying one of the best drives available. The complete compilation of expertise across all the important facets of motoring makes a car like the new S90 a delight to drive. Safety is top shelf, comfort first class, and even the performance is powerful and smooth. The new Volvo S90 is the largest Volvo sedan, and the room inside both the interior and the luggage space is excellent. 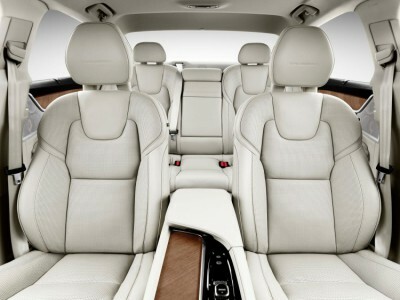 You can expect the comfort levels to be amazing, with Volvo’s excellence in this area being evident for some years now. Three engine types are able to power the all-newVolvo S90, and in this review we cover the petrol and hybrid variety, in particular. Diesel powered Volvo S90 models are also available via the Private Fleet Volvo review pages. When it comes to having the newest safety features available, you can always trust Volvo to be at the forefront of creating new ways of protecting the occupants of any new Volvo vehicle. This is why, for so long, Volvo has always scored very highly in any of the crash testing undertaken by safety authorities around the globe. The new Volvo S90 comes standard with features like: airbags for both the front passenger and driver, side impact airbags for front and rear passengers, SIPS seat-mounted airbags for driver and front passenger, curtain airbags for front and rear occupants, airbag knee protection for front occupants, occupancy sensors, traction control, ABS, stolen-vehicle tracking, height adjustable safety belts, front and rear seatbelt pre-tensioners, LED headlights, automatic exterior light control, delay-off headlamps, headlight washers, cornering headlights, daytime running lights, directionally adaptive headlights, high definition LED brake lights, door curb lights, illuminated entry, a parking assist system, remote keyless entry, keyfob detection, a keyless access system, a panic alarm, powered door locks, child safety door locks, a Content theft-deterrent alarm system, an ignition disable system, lane departure, a theft deterrent radio, a blind spot sensor, and a low tyre pressure warning system. All of these items are standard on all Volvo S90 models as standard. This is not an exhaustive list, by any means, but it’s great to know that your new S90 is a big sedan that has all the safety features that you would expect in the finest motoring experience. Certainly, the new Volvo S90 is leading the way for others to follow. Impact zones and crumple zone technology absorbs the bulk of an impact, thus protecting the occupants extremely well. Accident avoidance technology like intersection traffic detection, pedestrian and cyclist detection, automatic safety braking, adaptive cruise control and Heads-up display are other present technology features in a new S90 sedan. One exceptionally sophisticated safety feature is Volvo’s latest semi-autonomous technology safety system. The system is called the Pilot Assist feature and works at speeds up to 130 km/h. Volvo recommends you still have your hands on the steering wheel; however Pilot Assist can keep your car in the right lane and watch for hazards, automatically adjusting progress as required. 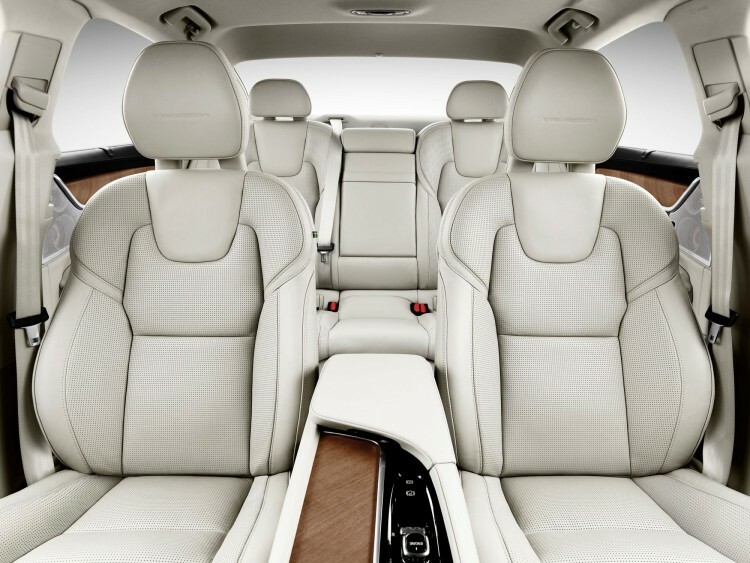 Sit yourself down in the Scandinavian leather interior and be ready for breath-taking style and comfort. 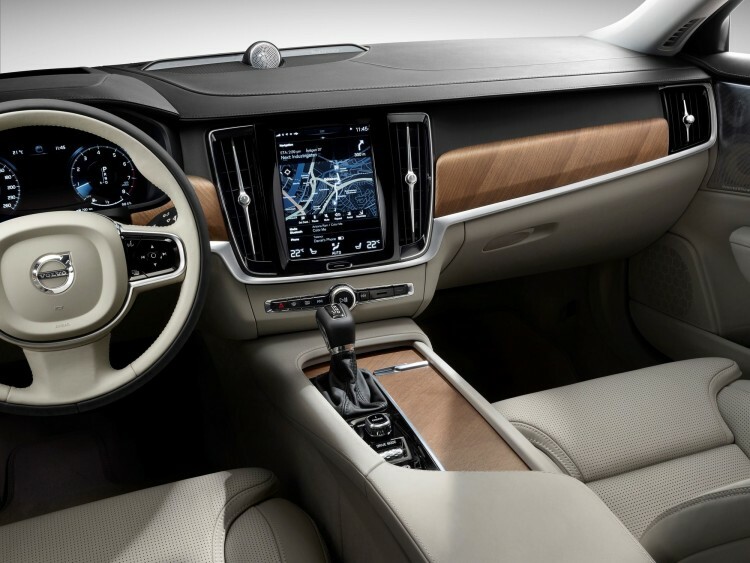 I would rate the flagship Volvo S90 as having the nicest interiors in their class, and it’s because of the freshness of Volvo’s design along with the stylish cabin appearances and beautiful materials that harmoniously combine to make a new S90 so special. Volvo has nailed it here, and their statement in luxury and refinement has redefined the luxury car benchmark. Other reviewers and journalists are saying similar things, and the new Volvo S90 is collecting awards world-wide. Seating comfort is awesome, and the ride quality exceptionally good. What powers the S90? 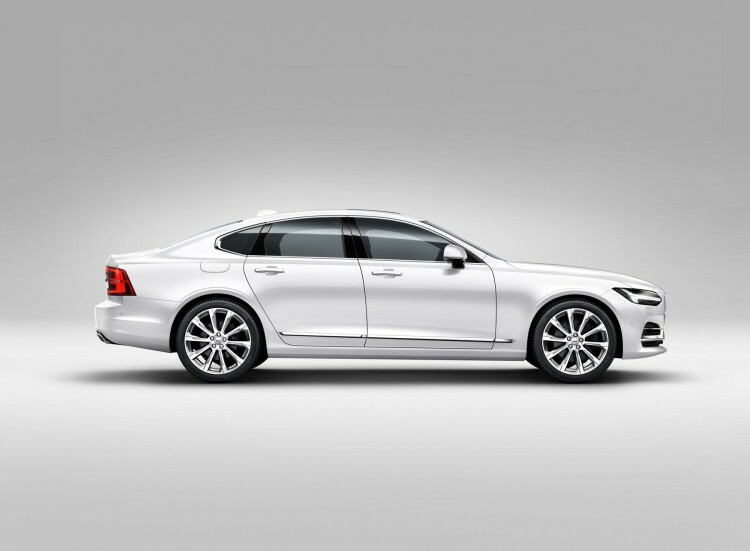 A new Volvo S90 petrol model has the option of three engines being available: the T5, T6 and T8. Obviously the T8 has plenty of power (300 kW), and traction in the form of AWD. But what makes it very special is that it is a hybrid vehicle. In the T8 the 2.0-liter petrol engine is coupled with a crank-integrated starter generator and an 8-speed automatic transmission for the front. At the back, a 65 kW electric motor combines to make impressively efficient motoring – particularly about town. T6 models have four-cylinder engines with turbo and supercharging technology making them a very quick and willing motor (235 kW). AWD is also standard on T6 models. To give you an idea, the T6 AWD version can complete the 0-100 km/h sprint in a smidgeon over six seconds and will run onto a limited top speed of 250 km/h. You can get yourself into a new base model Volvo S90 by opting for the refined turbocharged T5 (187 kW) model. With FWD as standard, the engine is smooth and punchy, and the S90 T5 Volvo experience is well controlled (TSC is standard), smooth and refined. Despite being around two tonnes, the S90 is agile and feels very solid on the road. Inside a new Volvo S90, in-car entertainment and luxury features are as good as you’ll find anywhere in luxury motoring, so be impressed! For any more information on the new Volvo S90 or, for that matter, any other new car, contact one of our friendly consultants on 1300 303 181. If you’d like some fleet discount pricing (yes even for private buyers! ), we can submit vehicle quote requests out to our national network of Volvo dealers and come back with pricing within 24 hours. Private Fleet – car buying made easy!